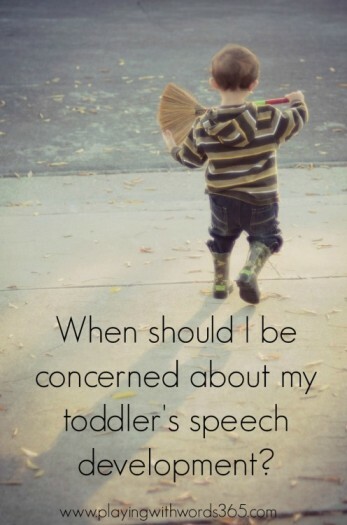 When Should I Be Concerned About My Toddler’s Speech Development? It is not uncommon for parents of toddlers to worry about their child’s development at different stages. As parents, we all want our children to thrive and it is easy to find ourselves comparing little Johnny to the other toddlers at the park. And it is all too common to have well meaning friends and family reassure you that your child is fine. 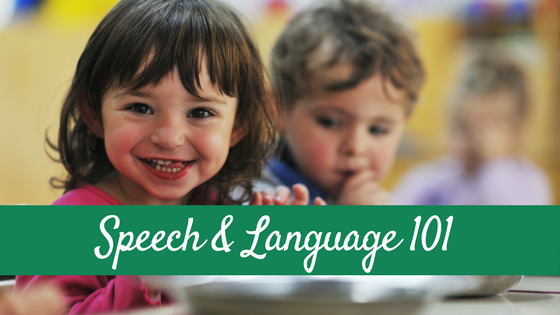 But when should you be concerned about your toddler’s speech development? The first thing that is very important to know, is that the range of “normal” or “typical” development is rather wide between 12-24 months. 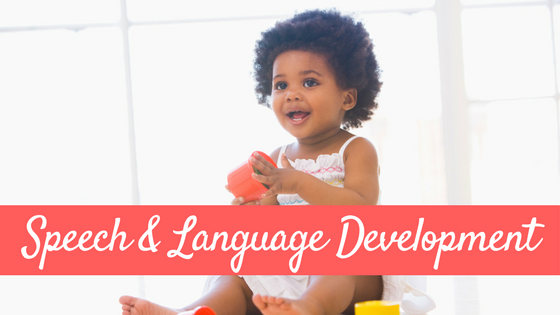 While one 18 month old may be talking in short sentences, another may have only a handfull of words and yet they are still considered to be in the average range of development. This is important to keep in mind as you compare your child to other children. That said, there are some red flags to be aware of that may indicate that it is time to consider a speech and language evaluation. Here are some general red flags to look out for in terms of speech, language and social development. If your child is demonstrating some of these red flags, I suggest consulting with a licensed speech-language pathologist. Demonstrating inappropriate toy play: not playing “pretend” with toys, not playing correctly with toys as intended (like lining cars up rather than rolling the along a play road), or getting “stuck” playing with one toy over and over again in a repetitive fashion. Is demonstrating any of the red flags mentioned above for ages 18 months-3 years. What is Communication? It is So much More than Speech! 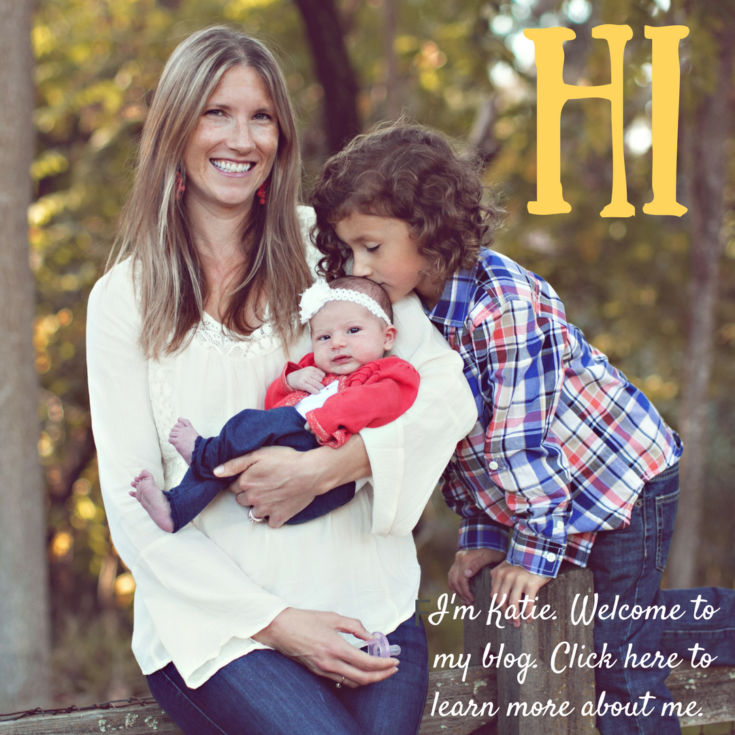 Language Basics: More Than Words by Stephanie, fellow SLP and mom to twins, at Twodaloo. 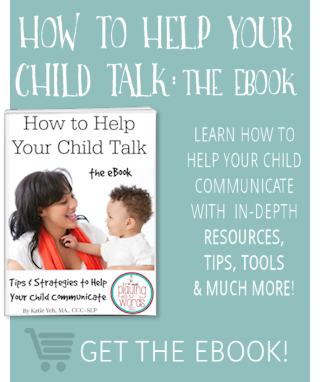 Excellent, must read post if you suspect your child has speech/language delays. What should I do if my child demonstrates some red flags? I recommend you find a speech-language pathologist for a screening to determine whether an evaluation is necessary. All states have some kind of early intervention services, or you can pursue an evaluation through your medical insurance or through a private practice. 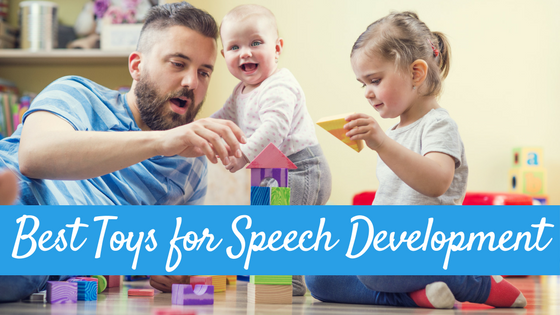 For more information on how to find an SLP, check out my post How Can I Find a Speech Pathologist. 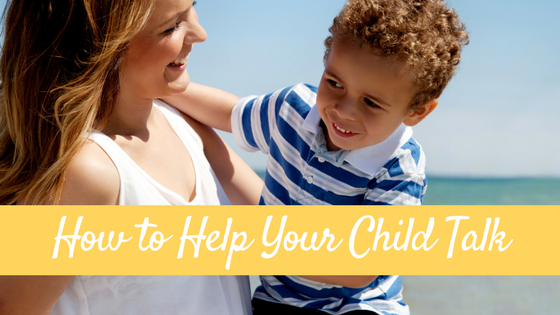 For recommendations on how to help your child, be sure to check out my How to Help Your Child Talk page! My son is 27 months old. When he was 15 months old, he said various 4 word sentences and 2 word sentences. His pediatrician said that was very good for his age. He has only repeated one word that I’ve said, ” Apple, ” but has said these words on his own before. He can point to everything I ask in books, knows all his body parts by pointing when I say ” where’s your hand” for example. He understands everything I say and when I give him instructions. I am concerned because he won’t repeat words when I ask him to and I can tell he is getting frustrated when he wants things and can’t verbalize it or just doesn’t want to. Should I have him tested with a SLP? He seems to talk only when he wants to and is stubborn about it. Would appreciate your thoughts. Thanks so much! Hello, I am a mother to E (age 27 months). We have used sign language since age of 12 months and by 18 months he quickly caught on. He knows well over 30 signs and typically uses 7-10 spoken words. He knows his colors, ABCs, makes up his own songs (usually with babble), he understands everything I say and can answer my questions usually by signing or pointing. He uses multiple signs to form sentences. He plays well with others, and is very social. He loves to entertain! Honestly, I am not worried about him not talking because we understand each other very clearly…however, as you stated at the beginning of the article I am getting many critical remarks about him not talking. I am also a Nanny to 2 other children, one being a boy (21 months) and while he talks CONSTANTLY he is basically a parrot…he does not understand directions normally and cannot follow through with things you tell him to do. He just repeats the last word you say, repetitively. The other, a girl (24 months) who does not communicate at all, just screams when something displeases her. I do not think there is anything wrong with any of them developmentally, but personally would much rather have a child that actually understands rather than a child that just talks or one who cannot communicate at. I also, believe that my child is more of an observer rather than a talker, which is actually something to be valued. In your opinion, do you think my son needs to be seen by a specialist or is he fine with communicating through sign language? Any advice would be appreciated. Thank-you! Hi Beth, welcome! The average two year old has a vocabulary of around 200 spoken words and is putting words together to form short phrases and sentences. Though there is a range of “normal” (hence why a red flag at this age is set at 50 words), I would be concerned with a child who had only 7-10 spoken words at his age. The fact that he is signing is AWESOME and it sounds like he has good communicative intent (which is VERY important) but by this age he should be using word more than signs to communicate. There *can* be some underlying cause for his lack of speaking (such as motor planning issues that interfere with speech production), and if that is the case he may need speech therapy to help him along. So yes, I would suggest you have an SLP screen him to see if an assessment is recommended. Please let me know if you have any other questions! Hi I have a almost 3 and a half year old who doesn’t put the end sounds on a lot of his words. We have him in speech therapy with no success and his frustration level with the process keeps rising. Any suggestions of things I can do at home with him to help him pick up the skill I would greatly appreciate!!! Thank you so much in advance! Hi Katie, my 24 month old son uses only 8 words. He fully understands everything I say, follows instruction really well and when reading him a story points to all the objects as I say them. He is obsessed with cars and trucks and runs around chanting car car car. His 4 yr sister who is a twin is doing speech therapy as she had trouble with pronounciation on her f, n, l, r, v, and c although this had never slowed down vocabulary development as she had always talked constant even when we couldn’t understand her. My twins tend to talk on his behalf which is very frustrating. He is very clear and articulate with the few words he does say eg, mum, dad, bath, car, oh dear and fish. Please help and steer me in the right direction. His sisters are at school full time this year so I think that will help in some way hopefully as his inability to communicate is turning into tantrums. Hi Wendy, we definitely like to see many more than 8 words at 24 months. I recommend having him seen by an SLP to see how you might be able to help him along. Good luck! He turned two in Feb, he was evaluated by a speech therapist in March. He was showing a 3 month delay, not enough to qualify for the program. Our doctor wanted to see him again at 2 1/2 to see how he is doing. I think since March, he may have added one to two new words. He still prefers to grunt, growl, point and throw a fit. I don’t know what to do. Should I call for another evaluation? Should I wait until 2 1/2? Laura, at two he should have 100+ words and putting two words together and he should be using words to get his needs met. I would definitely want to get a second opinion. It’s possible he won’t qualify for free services…you may want to look into what your insurance covers. Many will at least cover the assessment. That should give you more information. Good luck to you! My Son is 3 Years old .He does not Speak .But after speech therapy says Alphabets ,Fruits and sometime Dada ,mama .And now says give if he wants anything .Eye contact is Minimal .Rest all he is fine .Social ,Smiles ,Cuddles ,Plays with Siblings but does not point and tries to communicate .If he needs he will pull us to the place what he wants or Snatches .If we we object he will return as well .He has good Emotional feelings likes comes and Solaces if we are hurt or cry .He is very active and good in all works and normal activities .Please advise whats the solution or Treatment .His hearing is perfect and watches TV ,Dances and sings tunes .Please advise . Hi Anisha, how is your son now?i ask because am worried for my son who has similar behavior.thanks. My son will be 3 in 3 days and only says about 4 or 5 words clearly. He says a few other words but not very well, or only half the word. I had him evaluated at a childhood screening at the grade school back in April. They didn’t really help me. Just said he will probably start talking in about a month or he doesn’t talk because everyone talks for him. Didn’t give me any tips to help him at all. They said they would contact me when school started again. Since then the lady I talked to has retired and nobody has called me back. I don’t want to delay this anymore. I try everything I can think of to help him, like make him say the word before he gets something. We read a lot of books and his older sisters help too. What else can I do? My granddaughter is 21 months old and can do any task we ask her to do. The concern we have is with her speech. She is can say about 30 to 40 words but some of the words aren’t clear such as bye she says dye and cup is bup. Is the cause for concern or something that will correct it self over time? Hi Katie! I am so stressed because my doctor can’t get me in for acouple months and my 23 month old is not talking at all. He understand everything and is very bright and happy and plays correctly and loves ppl but when I ask him to say something and he repeats the word to me, the sounds are completely off! He has probably 5 words he says that are understandable(mama, dada, baby, ya, no, baboon, and bubbles) I know those last two are hard words and yet he says them. Anyways, I’m just wondering if something is wrong.. I’ve tried giving him treats for trying to say something I’ve tried asking him to repeat words throughout the day.. we read a lot and he loves it. His Dr at his 18month old check up wasn’t worried because he understood so much and wasn’t showing other scary signs. Could something be wrong. He really can’t repeat at all! My Grandson is 30 months old and he uses a lot of one word sentences and has a difficult time pronouncing certain words. His words come out almost like a cadence and repeats the word over and over., like “Mo, Mo, Mo, Mo” for more. Most of the time his mother and father cannot even understand what he is saying? My son is 21.5 months old. I have contacted local Infant,toddler program. He has had the initial evaluation and we are waiting for the educational therapist, speech/language therapist and OT to get back in touch to set up services. My son at this point mostly repeats back the last word I say. I know he understands things based on his actions in some cases. For example if I say where is the … he will look at it. Not point but look at the object or person. This is not consistent we do need to work on it. I’m wondering what I can do to help him in the meantime while waiting for services to start. I have a four year old grandson who has been staying with me for the past five months. His speech is not good but I’m more concerned about him not being able to answer simple yes and no questions. Example do you want some juice? He says no and after I put it away he says where’s my juice? This happens every time so I try to explain that no means I doesn’t want juice and yes means he would like some juice. It has been five months and still no improvement. Am I doing something wrong?